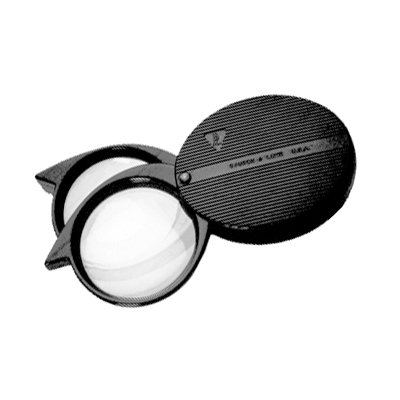 Compact folding magnifiers are extremely versatile. The lens can be used as one or in combination to produce different powers. The lens cover also acts as a handle. Light and compact, fits easily into your pocket.